The Syrian refugee crisis and the “forgotten millions” have dominated news headlines in recent months with potent images of young children washed up on beaches, forever seared in our minds. While currently at record levels, the movement of peoples fleeing their homes for refuge or safety is nothing new. Some have estimated that 60 million Europeans became refugees during the World War II period. In 1947, when India was partitioned into Muslim Pakistan and Hindu India, the violence that erupted claimed approximately 1,000,000 lives and left 14,000,000 refugees. Only months after Pakistan was created, the UN tried to similarly divide British Mandate Palestine into Jewish Israel and Muslim Palestine. 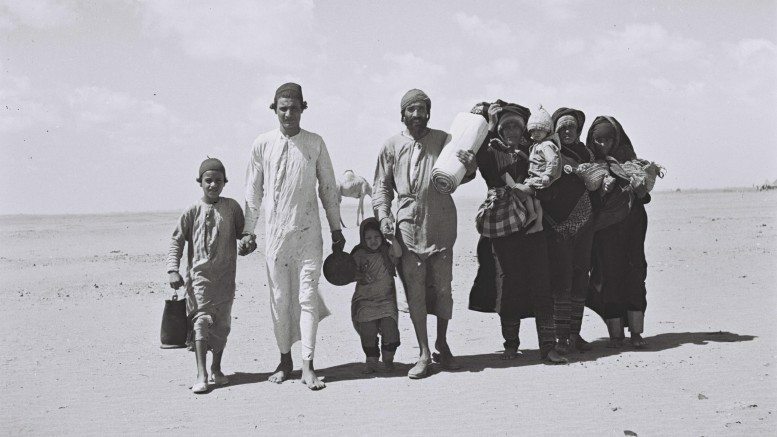 The violence in the land claimed approximately 10,000 lives and left approximately 750,000 Arab refugees. There were also approximately 850,000 Jewish refugees forced from Arab lands. Whilst the Palestinians receive much media attention, the plight of the Jewish refugees has been virtually ignored. Established Jewish communities in places like in Algeria, Egypt, Iraq, Libya, Morocco, Syria, and Yemen (Aden) were expelled. These ancient communities were destroyed, bank accounts frozen and assets and properties expropriated. Jews faced bombings and bloody pogroms as well as apartheid-like government discrimination. They fled their homes with not more that the shirt on their backs. Most of them were absorbed into the nascent Israeli state, with no compensation from the Arab world for the wealth that was left behind. This week a special event was held at the UN to formally acknowledge this history. Israeli Ambassador Danny Danon stated, “The untold story that has been hidden for years is finally recognized – this fixes the historical injustice against Jews from Arab lands that has been going on for years”. More information published in The Times of Israel.